Ask the Home Inspection Company to provide proof of Errors and Omissions Insurance Coverage. Amounts of insurance coverage vary, so be sure to evaluate this item with the assistance of an insurance professional. Ask the Home Inspection Company to provide proof of General Liability Insurance Coverage. Again, coverage amounts vary, and should be evaluated with the assistance of an insurance professional. Ask the Home Inspection Company whether it is licensed by the state and/or local governmental authorities to conduct home inspections. Below are links to websites for three professional associations of home inspectors with members in the Mid-Atlantic region*. You can easily search them for members in your area. *These links to national home inspection associations are provided on this website as a matter of convenience for the customers of Berkshire Hathaway HomeServices Fox & Roach, Realtors, and are not intended to serve as a complete directory of home inspectors who may be qualified to perform inspections in your geographic area. 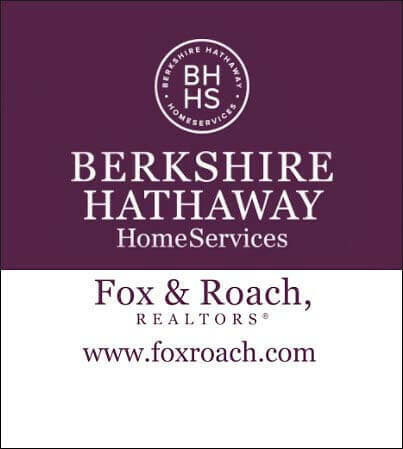 Berkshire Hathaway HomeServices Fox & Roach makes no representations as to the quality of services provided by any of the inspectors listed on any of the linked websites. By clicking on the national home inspection association links, you agree to release Berkshire Hathaway HomeServices Fox & Roach from any and all cost, damage, legal action or expense related to the selection and use of any of the inspectors listed on any of the linked websites and further agree to defend and indemnify Berkshire Hathaway HomeServices Fox & Roach in the event that Berkshire Hathaway HomeServices Fox & Roach incurs any cost, including attorney’s fees, arising out of your reliance upon any of the listed inspectors. You should make your own investigations and inquiries concerning the qualifications and competency of any home inspector you are giving consideration to hiring. Consult an attorney if you have any questions about any of the state laws governing home inspectors. You are encouraged to choose any inspector you wish and are not obligated to hire any inspector listed on any of the linked websites. Pennsylvania Home Inspection Law, 68 P.S. § 7501, et seq. New Jersey Home Inspection Professional Licensing Act, 45:8-61, et seq. In Delaware, the proposed laws are HB 347 and HB 534.